After their underground track 'Are You Dancing?' in spring and a long hot summer messing about in the Med, Vanni & Fav are back on their production perches, working on a series of cuts for the new season. 'Do Do Do' is a melodic tech house groove where dark and eery synth stabs meet delicate melodies. It's weaved together by a hypnotic techno loop that bleeps its way through the track before giving way to Fav's vocal, which is complimented by a piano hook. 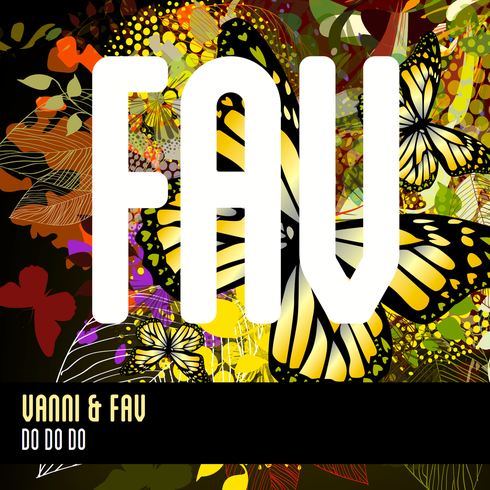 Vanni & Fav are Favouritizm's upcoming boy/girl duo comprising of Italian producer Alex Vanni and UK DJ/producer Sarah Favouritizm. Both sharing a love for vintage analogue sounds and electronica, 2014 saw Alex and Sarah team up on some new productions and remixes including Irena ‘Stuck In Love’ (Remix), 'Toot Toot' by Timmy Vegas, their debut single 'Stretch And Flex' and 'Are You Dancing?'. The pair have apparently already received the thumbs up from Booka Shade, Shir Khan, Aki Bergen, Audiowhores, Martin Ikin, DJ Meme and Brian Tappert among others, with their quirky style which fuses pre-house ’80s electronica with contemporary house and techno. Italian producer Alex Vanni is inspired by the Chicago/Detroit electronic music of the late-80s and early-90s. In 2005 Alex as Mono, together with DJ Tony Barbato, released ‘Flowers’, with supporters including John Digweed, Alex Neri, and Steve Lawler. He met Favouritizm label boss, PR and DJ veteran, Sarah Favouritizm in 2013, when she moved to Italy. Her production projects include Rise ‘The Way We Get Down’ with Timmy Vegas, 'Another Day' with 2 Sides Of Soul and remixes for Bah Samba. She has DJ'd all over the world from New York and Miami to Ibiza and Dubai. As Vanni & Fav, they are currently in the studio working on new material including a collaboration with Danish vocalist Clara Sofie (The Levels).